Remember memos, fax machines, secretaries and filing? Much of what was once the norm has become more or less obsolete in the modern workplace. So what will the world of work look like for children born this year? Here are four things which may seem as outdated as wage packets by the time they are ready to start earning. From construction to deep sea drilling, and from mining to welding, work has often entailed a significant degree of risk for its frontline workers. Even with the advent of strict health and safety laws, many workers including firefighters, nuclear scientists and divers are still required to enter hazardous environments and grapple with a significant degree of risk simply because of the career they have chosen. 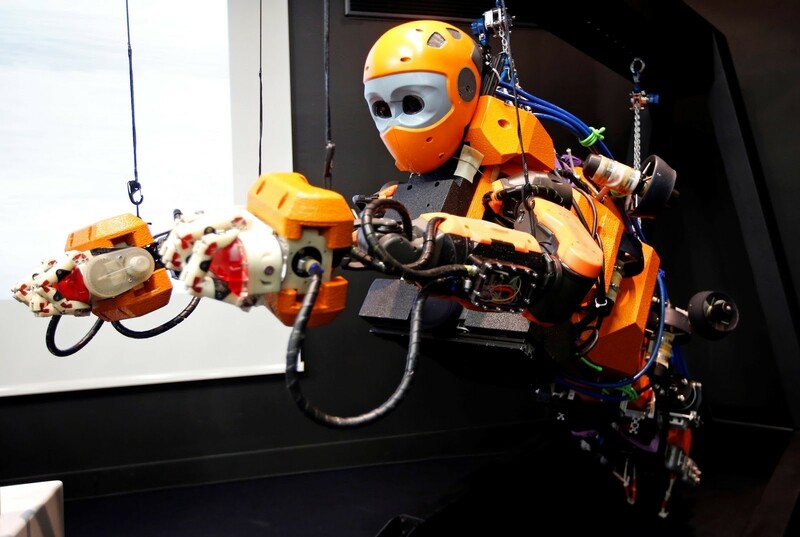 Robots are ideally suited to taking over the jobs that are the most dangerous to people. And employers have a strong incentive to develop robots to do these jobs since it will protect their own workforce, minimising both time lost because of injury and compensation payments. The Stanford Robotics Lab has recently unveiled an an undersea exploration robot capable of basic planning in unpredictable environments. The robot, called OceanOne, has successfully explored the wreckage of a ship, 100 meters under the Mediterranean sea. Robots have also been tested for a wide range of emergency response applications including dealing with wildfires, floods and earthquakes. Sandia National Laboratories has recently released information about using “robotic swarm” technology for avalanche rescue. Swarm Robotics is especially valuable in such circumstances given that victims can die in as little as 30 minutes. And - while many people worry about the impact of Artificial Intelligence on the workplace - almost everyone agrees that it is a good thing for robots to take on the most high-risk activities where possible. There was a time when 9am to 5pm was considered a “normal” working day. Then came globalization, coupled with technological advances. Many workers can now easily access their work whenever and wherever they need to, leading to more people working remotely. And that in turn has made the concept of “fixed hours” redundant, with most employers taking the attitude that what matters is getting the job done. Meanwhile, global corporations increasingly choose the best and cheapest skills from different locations, meaning that call centre workers in the Philippines, for example, could be asked to base their working day on UK hours rather than local time, while others will do shift work around the clock. In addition, the number of freelancers is on the rise, as companies find it increasingly easy to search platforms to find the best workers to match skills shortages. The “Freelancing in America: 2017” report found that 57.3 million Americans - or 36% of the US workforce - are now freelancing, making a contribution of approximately $1.4 trillion annually to the economy. And freelancers are destined to become the majority by 2027. The work of the freelancer usually relies on working for multiple clients, and that in turn spells the end of the 9-5 culture and the shift towards working as and when tasks need to be done. And then there is the so-called “gig economy” - which encompasses both freelancers and short-term contracts, but essentially represents the end of a permanent job within the structure of a company. The pros and cons of being part of the gig economy - as well as the obligation of companies involved is hotly debated at present, and there are a host of lawsuits between workers and bosses. Nevertheless, an increasing number of workers are opting for the gig economy out of choice, because they want flexibility rather than fixed working hours. Handling money, counting out change and taking cash to the bank has been a mainstay of many small-scale retail and service jobs, including hairdressers, restaurants, supermarkets, taxis and leisure activities. While larger payments have steadily transferred to credit cards, “tap and pay” contactless payments have started to take over even the smallest of transactions, and cash is gradually being eliminated. 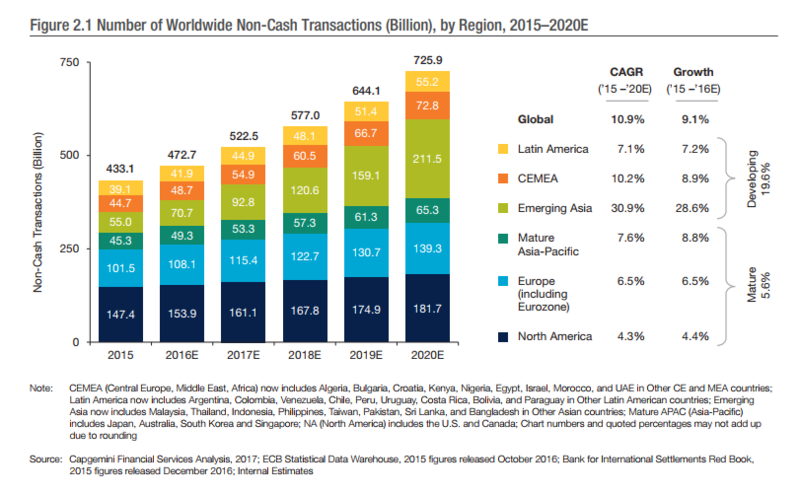 Global non-cash transaction volumes grew 11.2% during 2014-2015 to reach 433.1 billion, the highest growth of the past decade, according to Cap Gemini’s World Payments Report 2017. But it doesn’t stop there - the need for debit and credit cards could be eliminated too. There is now a host of options including payment over smartphone with services such as Apple Pay or Google Wallet, or via payment platforms such as Paypal or Square. Even these digital payment systems may become old-fashioned, with the next generation of workers opting for a hand microchip implant for ultimate convenience. And that’s before (and if) the rise of cryptocurrencies becomes a spending reality in malls and on high streets. It is looking increasingly likely that the common till or cash register will be consigned to the dustbin of working history alongside the physical wage packets most current workers can’t even remember. Computers have made the workplace vastly superior - except for one key thing; The time we spend sitting in front of them. Sitting is the new smoking and is being blamed for a range of woes from heart disease to obesity, and from back pain to stroke and colon cancer. Chairless meeting rooms are already popular, making meetings more dynamic and efficient, while providing a much needed break from the desk chair. Standing-up desks - and desks which can easily adjust between standing and sitting positions - are also growing in popularity. But - no time to stand still - treadmill desks and stationary bike desks that allow you to move slowly while working are also in the pipeline at some offices. 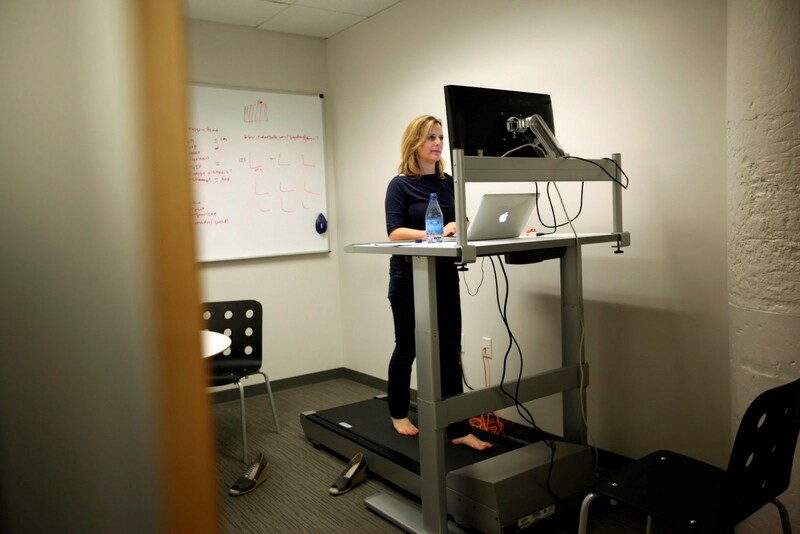 Google and Microsoft are amongst the firms that are thought to have invested in treadmill desks for their workers. The medical journal The Lancet attempted to estimate the financial impact of an increased sedentary lifestyle across 142 countries, and calculated that a sedentary lifestyle cost the world an enormous $67.5bn in 2013. So, don’t take the office chair for granted. If it is costly to the world economy, your company and your health - it is likely to to go the same way as fax machines, carbon paper and other outdated office equipment. How do you get a job that doesn't exist yet?